Emma has everything she wants. Good friends, family who loves her and the boyfriend of her dreams. She’s also finally rid nemesis Bianca Smythe from her life. But life is full of twists and turns. The first is a phone call from her mother, the one who abandoned her twenty years ago. Suddenly she wants a relationship, to patch things up with the daughter she dumped. Will Emma let her in to her now happy life? 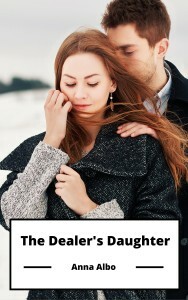 This entry was posted in The Dealer's Daughter. Bookmark the permalink.